Better Births, the report of the national maternity review was published in February 2016 and sets out a clear vision for maternity services across England to become safer, more personalised, professional and more family friendly. 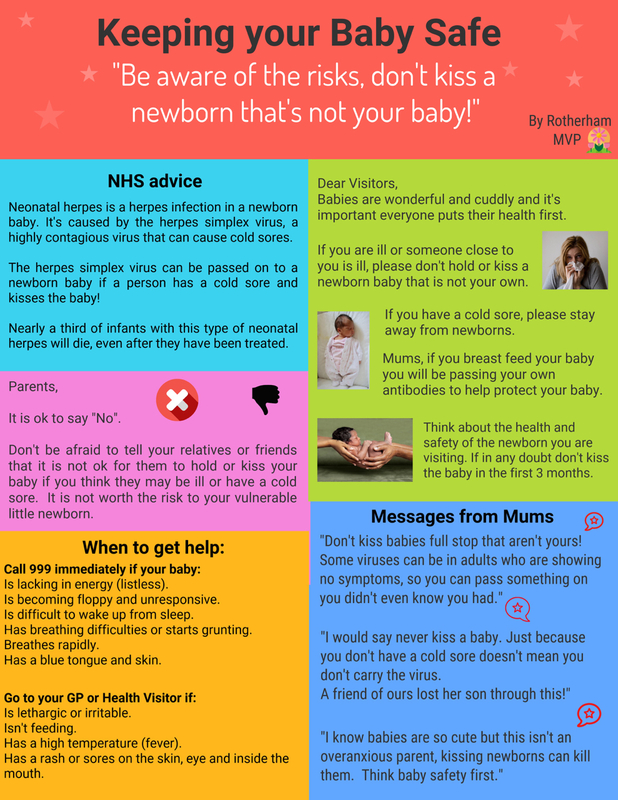 Rotherham is a partner of the South Yorkshire and Bassetlaw Local Maternity System (LMS) that is leading on transforming maternity services in line with better births. Better Births makes it clear that women and their families are at the heart of the maternity transformation programme. It is a national requirement to have a Maternity Voices Partnership in each local area, so as to ensure that women and their families help shape and develop maternity services. 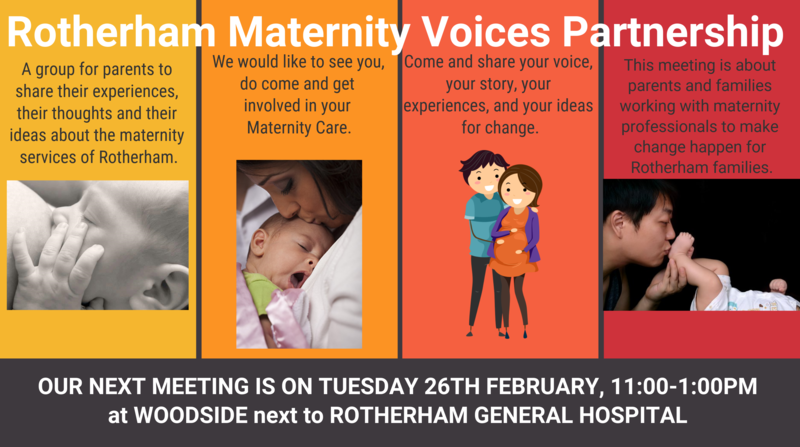 The Rotherham Maternity Voices Partnership is a friendly group of parent representatives and practitioners, who are working together to shape the development and direction of maternity transformation in Rotherham. The next MVP meeting will be on Tuesday 26th February 11.00am-1.00pm at Woodside next to Rotherham General Hospital.